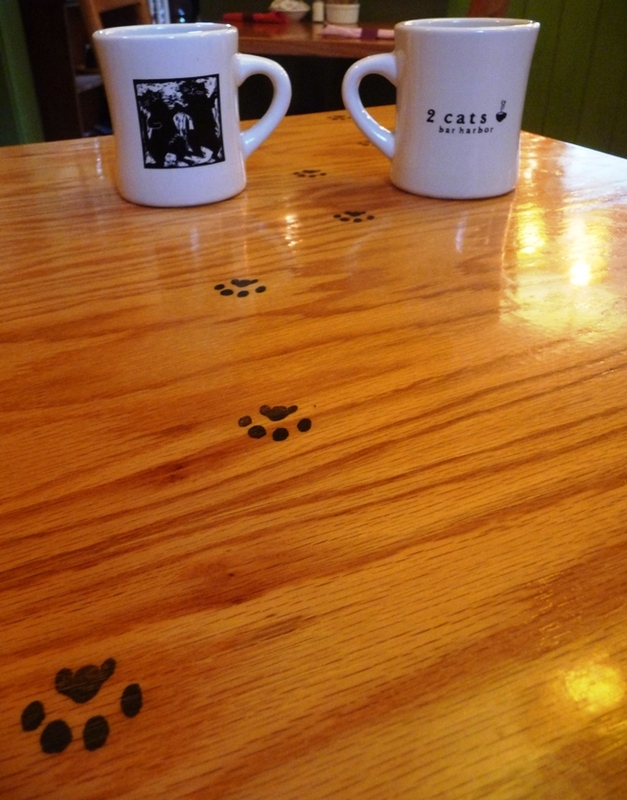 My planned post on Two Cat’s Café in Bar Harbor isn’t working out (mostly because I don’t feel like writing it) but I liked this picture, so here it is. We discovered that the name Two Cats is a bit of a misnomer, because they actually have three. We only met two, though, so maybe they work shifts. I’m not sure. We also discovered that the omelets are far superior to the pancakes; so much so that we would have written a glowing review if we hadn’t gone back a second time. But we did, and our experiences there were hit and miss as a result. Nonetheless, Two Cats still seems like our kind of place. If we lived in the area, we’d probably be regulars. Just maybe not for pancakes.